Saying that the nature of work has changed is an understatement. Digital technology is disrupting business models and radically changing workplaces and how work is done. Organisations are becoming flatter, and millennials who make up more than half of the workforce, are redefining employer loyalty, amongst other things. And we have not even discussed the impact of AI and Robotics on jobs. Faced with so many challenges, enlightened enterprises are doubling up efforts to cope with the changes to sustain their business competitiveness. Traditionally, hiring more people could have been a solution to combat the threats. But the landscape is very different today, and enterprises no longer have a quick fix to the skills deficiency issue. Equipping your human capital with current and emerging skills in a steady and disciplined manner should be the methodology for enterprises to survive in the age of disruption. To this end, SkillsFuture Singapore (SSG) has done tremendous work to support individuals and enterprises. On the individual’s front, SSG has partnered the Community Development Councils (CDCs), with support from Workforce Singapore (WSG), People’s Association (PA) and the Employment and Employability Institute (e2i) to provide free SkillsFuture Advice workshops to encourage individuals to embark on their SkillsFuture journey. On the employer’s front, the work is getting exciting. 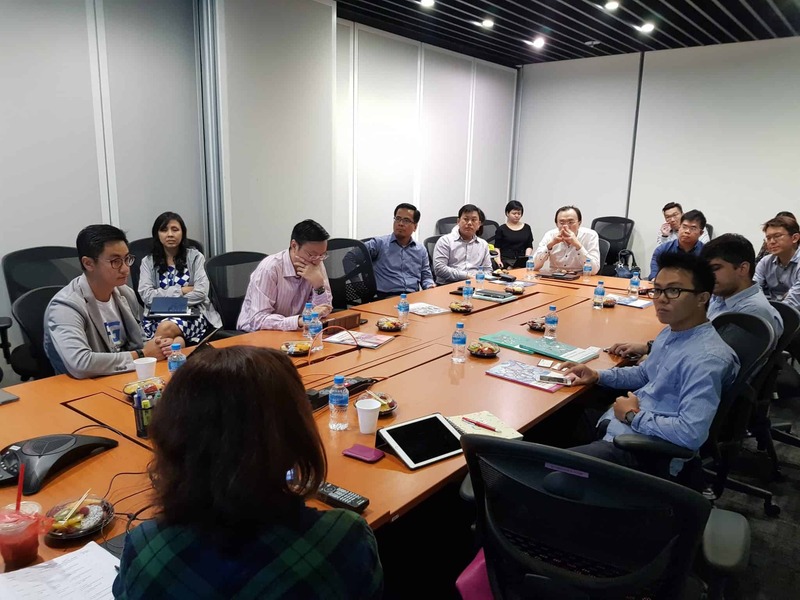 Two weeks ago, I facilitated a focus group discussion between SSG and HR Tech companies. Let me explain the connection. Since 2015, SSG has developed several resources and programmes for enterprises to encourage them to embrace the SkillsFuture movement. One notable “product” is the Skills Framework. The Skills Framework provides up-to-date information on employment, career pathways, occupations, job roles, existing and emerging skills and competencies, as well as relevant education and training programmes. To the HRD or L&D practitioners, the Skills Framework might be a dream come true as the resource is free and developed based on the local context. More importantly, the linkages between job description, tasks, skills and training programmes offer immediate value for enterprises as they can be used to identify and plug skills gaps. The HR Tech focus group discussion (FGD) was organised by SSG’s Enterprise Engagement Office. Targeted at participants from HR Tech companies providing HRMS and Talent Management solutions, the sessions offered valuable insights on the possibility of making the Skills Framework resources come alive through technology, for enterprises’ immediate use. Decision makers from the likes of AGHRM, JobKred, SAP, SelfDrvn, and many more were present to provide their views on what might work and what might not work, in integrating the Skills Framework resources into their solutions. It was heartening to know that many of the HR Tech companies’ clients were slowly implementing some form of talent management framework which would require a skills structure. Before the participants attended the FGD, they did not know where to begin, to advise their clients on the skills structure. The Skills Framework was an immediate answer to the missing jobs and skills taxonomies that companies desperately needed. However, embedding the Skills Framework into HR Tech solution is not without its challenges. Some customisation would be necessary to ensure the framework fits into the enterprise structure. As with all system implementations, the conviction from the enterprise is a critical condition to ensure success. SSG is well aware of these challenges. I applaud them for breaking new grounds in non-traditional spaces to catalyse SkillsFuture adoption. The FGD is the start of their exploration. With determination, their vision to infuse Skills Framework into HR Tech might reap results. Hopefully sooner.